TAMPA, Fla.— Port Tampa Bay is pleased to announce the recent gubernatorial appointment of Gregory Celestan as newest commissioner for Florida’s largest port. Celestan, appointed for a four-year term by Gov. Rick Scott, is expected to attend his first official board meeting April 15. 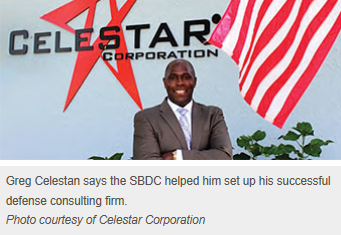 Originally from Niagara Falls, N.Y., Celestan is founder and CEO of Celestar Corporation, a consulting firm that provides support to the U.S. government and private industries worldwide, headquartered in Tampa. He retired as a lieutenant colonel from the U.S. Army after 25 years of service. 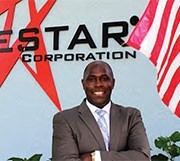 He was selected as an Ernst & Young Entrepreneur of the Year for the State of Florida in 2010. Some of his local involvements include a seat as a trustee on the board of the Bank of Tampa; member of the Tampa General Hospital Foundation Board and member of the CEO Council of Tampa Bay. He is also a Past Chairman of the Greater Tampa Chamber of Commerce. He attended the University of Washington and the United States Military Academy at West Point. Celestan’s board term will end Nov. 25, 2017. “We look forward to working with our new port commissioner, Greg Celestan, who has been a very active and well-respected professional in Tampa for a long time. Our excellent board of commissioners will be enhanced by the impressive leadership skills and savvy that Mr. Celestan will bring to the table, and I am looking forward to his impact upon the board, the port community and to the momentum of our world-class port,” Paul Anderson, port president and CEO, said.